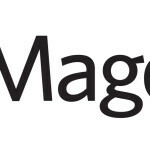 We all know about OneStepCheckout, a well-known company in the Magento industry. So, today, we have an astoundingly talented lady who is currently working as a Chief Marketing Officer at OneStepCheckout, Thien-Lan Weber. So without wasting more time, let’s start the interview! Muneeb: Thien, thank you for joining us. Please share some highlights of your career. Thien-Lan: Hi Magenticians, thanks for having me! It sounds crazy but I’ve been working for almost 20 years now! I’ve been focusing on retail and consumer goods, including classic brand management roles at L’Oreal, Clarins, Johnson & Johnson, management consulting role at Accenture and, in the last 10 years I specialized in eCommerce by working at eBay, PayPal and now OneStepCheckout. My experience covers all areas of marketing from TV advertising, all the way to analytics and making the most of the big data. I have worked in Europe, Asia Pacific and the US and have been in the shoes of the client, the agency, the vendor and of course, the consumer. Muneeb: Please tell our readers more about OneStepCheckout extension. Thien-Lan: Woohoo! Thanks for the product plug! Well, honestly I think that everyone reading this knows already about OneStepCheckout. I was quite amazed about our company’s brand awareness when I first joined. I was quite intrigued and realized it was it was due to the wide appeal of the solution, the quality of our product and most importantly the quality of our support team. Anton and Madis are the most clever people I know. For those who don’t know us yet, OneStepCheckout is both the name of the company and our Magento extension. We are all about increasing online sales conversion by reducing cart abandonment. 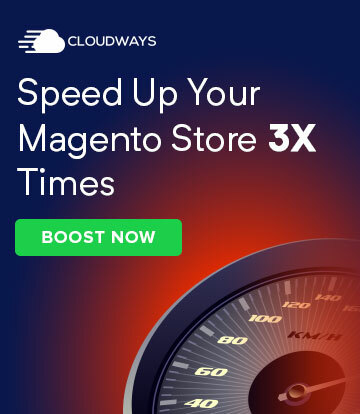 It started with simplifying the 6 pages of the Magento 1 native checkout into one, then improving the user experience more and more, as well as compatibility with third-party extensions based on the feedback of our customers. After 7 years and over 20,000 orders from Magento stores across the world, spanning verticals and business models, we took on the challenge to build the same for Magento 2. It’s the beginning of a new era! Muneeb: What was your reason for choosing Magento over other ecommerce platforms? 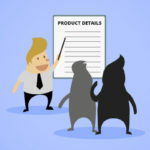 What’s the special thing about Magento? Thien-Lan: Hah! As Marius Stradivarius, the virtuoso of words and coding would say: “I didn’t choose Magento, Magento chose me!”. In fact, I’m a trailing spouse. My husband has the primary career in our household and I’ve been following him around: to Australia, to Switzerland and two years ago to Oslo. When we arrived in Norway, someone told me to contact the Oslo International Hub (that you can see in the video) and OneStepCheckout happened to have their offices there. With my eCommerce experience and English skills (read: lack of Norwegian skills) it was the perfect match. The special thing about Magento is the ecosystem. I’m a natural networker (looking up to Kalen Jordan though) and I feel that I quickly found a place in the Magento Community. Thank you for pacmaning me ;) Other industries also have their ecosystem. For example, in the beauty industry consists of brands/ manufacturers, retailers, and media. But with Magento, it’s much more international, diverse in terms of talents, skills, culture, appearance and inner beauty and we embrace it all. That’s what makes it extremely a rich, strong, powerful, and a tight-knit ecosystem. 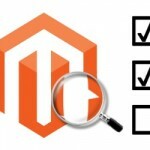 Muneeb: How useful are Magento events? 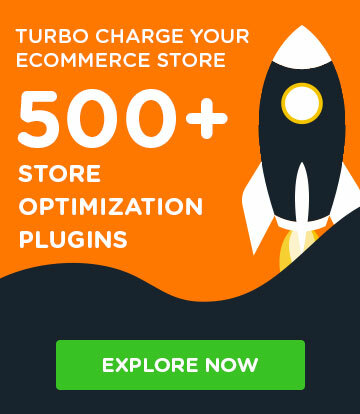 Would you recommend them to Magento newbies? Thien-Lan: Great question. Love how you tailor them to your guests! Relationships and getting to know people, not just for business purposes but also for everything else that each individual brings. The more you understand people’s challenges, the better you can come up with solutions. I’m like Rebecca Brocton, I love helping people so those conversations motivate me a lot. Last but not least, if you attend Magento Imagine in Las Vegas, you get greatly inspired by keynotes speakers and the whole vibe of gathering thousands of smart, passionate and kind people together. Muneeb: How do you see the future of Magento? What improvement would you like to see in the platform? Thien-Lan: I see a great future for Magento as they seem to have found a good place in the market, servicing bigger merchants and developing further geographically, especially in high growth regions (Asia). 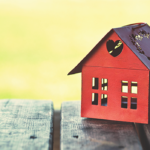 Their customer base is strengthening, their product is improving faster and I’m eager to see what they do on the marketing front as they haven’t had a CMO for a while before Andrea Ward arrived. Muneeb: What does your daily work routine look like? So in the morning, I process orders, answer all the pre-sales and non-technical questions we get. Then I work on anything from partnership programs, social media, writing blogs, providing updates to our customers, up to define a new strategy and business model for the company. At this particular point in time, our priority is around our new Magento 2 product which launched on 30th August. And whenever someone from the Magento Community is in Oslo, like Miguel Balparda or Talesh Seeparsan, I make time to show them around and share a meal. Thien-Lan: I’m a foodie so I love eating out as well as cooking. I also have two sons aged 6 and 9 so I spend a lot of time with them. I teach them the piano, I play games with them (we’re into Minivilles), we chat a lot. As a family, we also love traveling. Our family and friends are in France so we go there quite often. We also lined up a couple more trips like back to Sydney for Christmas and skiing in Austria in February. When the weather’s good, I love playing tennis and all year round I go to Zumba or dance classes. But what I enjoy the most is spending time with friends. Thien-Lan: Professional and personal life are blurring more and more. One topic that resonates with me right now is around being kind, caring and socially responsible. I was deeply inspired by Sir Richard Branson when he visited Oslo last year. The Virgin brand was a trailblazer in the field of marketing and advertising, pioneering guerilla marketing and using humor as a key weapon. Now it’s all about raising awareness around sustainability, whether it’s with leadership, empowerment and in the way you treat your employees, or with more action toward the planet. That’s why I also recently joined the board of a Swiss start-up that aims at generating a lot of charity donations through eCommerce. Given my personal history, I’m still looking for a role model. Someone who started from the same point as me and is now successful and happy as a parent, a wife, a professional and a human being. Shopify or PrestaShop? Shopify, although Prestashop is French! PlayStation or Xbox? PS4 playing Rock Band 4 on my real drums kit! Muneeb: It’s been a great interview and I hope you have enjoyed it too :) Lastly, who would you like to be interviewed next on Magenticians? Thien-Lan: It was a real pleasure. Hope everyone enjoyed the little tour of Oslo and for those who I haven’t met, I will be at Meet Magento Norway 16th November and of course, Magento Imagine in Las Vegas in April 2018. The person I’d like to see interviewed next is James Horne from Balance Internet, a leading Magento Agency based in Australia!